The Crave 360 has a tubular shape reminiscent of the Amazon Echo, and uses it to blast tunes in 360 degrees. It's meant to be a portable and stationary speaker in one, with an 8h battery life and a wireless charging base that you can pluck it on and take it off whenever you feel like bringing it to the garden, park, balcony, or just moving it around the house. There's even a leather strap to carry it safely. The Crave Pro is a bigger stationary speaker with more power, 2 subwoofers, and better low frequency response at 40Hz. It needs to be plugged in at all times, so there's no carrying this thing around the house. Both speakers have Bluetooth 4.1 as well as WiFi for Google Cast support and multi-room pairing compatibility. There's an Ethernet port on the back too, if you want a more reliable connection than a wireless one. However, unlike the JBL Playlist announced a few days ago, there's no 3.5mm input if you want to send audio from a more analogue source. 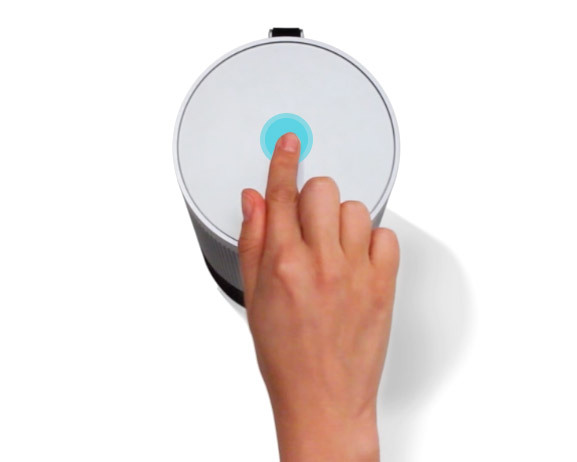 The Crave 360 and Pro don't have buttons for controls, but a rotating touch dial that you can tap to play/pause, swipe to skip back and forth, and twist to adjust the volume. You can use Vizio's own SmartCast app to queue and send tunes to the Crave speakers, do voice searches for music, and more. But you can also send audio from any Cast-compatible app on your phone. The Crave 360 is already available for $249.99, whereas the Crave Pro is marked as "Coming Soon" for $299.99. Irvine, CA — September 7, 2016 — VIZIO, Inc., America’s #1 sound bar company1, announced today the launch of its all-new VIZIO SmartCast audio offerings, the versatile VIZIO SmartCast Crave Pro and Crave 360 Speakers. Shaking up the multi-room speaker category, the Crave collection is designed for easy, multi-room audio throughout the entire home. With multiple speakers, consumers can play different songs in each room of the house or the same song in every room. The Crave Pro serves as a stationary speaker for consumers looking to revamp a room with resounding 2.1 audio with dual integrated subwoofers, while the Crave 360 offers 360˚ omnidirectional portable audio, perfect to take into the backyard or move about the home. Both speakers fully integrate Google Cast, allowing users to stream millions of songs from Google Cast-enabled audio apps that music listeners already have on their mobile devices, directly to the speakers over WiFi. Since the Crave collection is part of the VIZIO SmartCast entertainment ecosystem, both speakers are controllable by the VIZIO SmartCast app which transforms iOS or Android mobile devices into powerful touchscreen remotes. The all-new VIZIO SmartCast Crave 360 Speakers are available now at an MSRP of $249.99 at VIZIO.com and SamsClub.com. The VIZIO SmartCast Crave Pro Speakers are coming soon to VIZIO.com at an MSRP of $299.99. The new VIZIO SmartCast app simplifies the entire whole-home audio experience, allowing users to turn their iOS or Android mobile devices into a Crave speaker remote for seamless play, pause and volume control from anywhere in the home. The app makes it incredibly convenient for consumers to search, discover, browse and cast their favorite music to Crave speakers in any room. Seamless multi-room functionality allows users to cast the same song, or send a different song, to multiple cast-enabled speakers and sound bars connected to the home WiFi network. 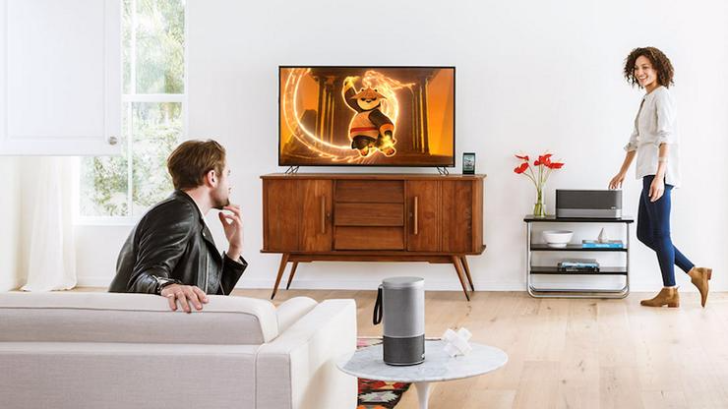 While conventional home audio speakers typically connect solely via Bluetooth, the new VIZIO Crave speaker collection allows consumers to stream their favorite music, podcasts and internet radio stations over WiFi as well as Bluetooth. With WiFi streaming, listeners are no longer interrupted by phone calls, texts and other disruptive notifications that commonly occur when streaming over Bluetooth. WiFi streaming also helps conserve battery usage on mobile devices, and frees up the mobile devices for other tasks. Best of all, WiFi steaming allows for better audio quality compared to Bluetooth. For consumers seeking superior audio quality, the VIZIO SmartCast Crave Pro Speaker delivers room-filling sound with deep bass. With a satin aluminum finish, the Crave Pro sits perfectly on an office bookshelf or living room side table. Crystal clear 2.1 home audio brings listeners’ favorite songs to life with custom-crafted drivers that produce up to 102 dB2 of dynamic sound and an integrated dual subwoofer pumping out bass as low as 40 Hz. For those who want flexibility to move music around the home, consumers will appreciate the VIZIO SmartCast Crave 360 Speaker. Featured in the music video for the new OneRepublic single “Kids,” the Crave 360 offers 360˚ omnidirectional 2.1 home audio and houses custom-crafted drivers that produce up to 95 dB2 of dynamic sound with 50Hz bass. The Crave 360 speaker comes with a wireless charging base and runs up to 8 hours3 so music can be played anywhere in the home using WiFi or Bluetooth to stream music. In addition, the Crave 360 boasts a leather carrying strap for secure, grab-and-go convenience. 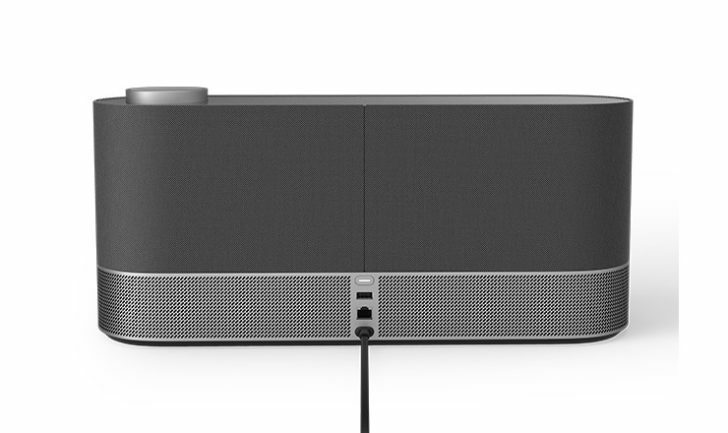 While both the Crave Pro and Crave 360 work seamlessly with the VIZIO SmartCast app, if consumers want to manually control their speaker from nearby, both products feature a glass touch dial that allows users to tap to play, swipe to skip and twist to increase or decrease volume levels4. With Google Cast built into every VIZIO SmartCast multi-room speaker, consumers can easily stream millions of songs from music apps they already know and love. 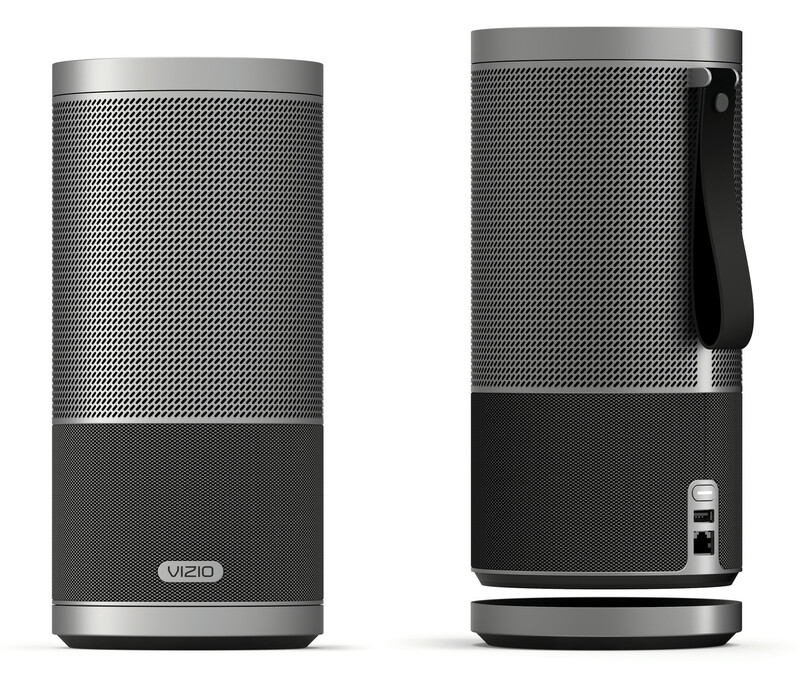 Just tap the Cast button to stream music directly over WiFi to any VIZIO SmartCast speaker from anywhere in the home. Unlike other multi-room speakers that use proprietary software, VIZIO SmartCast speakers make streaming simple with Google Cast. Consumers can simply Cast from music apps they already have on their mobile devices. For more information about the VIZIO SmartCast Crave Pro and Crave 360 Speakers, visit VIZIO.com/smartcast-home-audio. 2 Sound pressure level measured using pink noise at 1 meter, c-weighted.